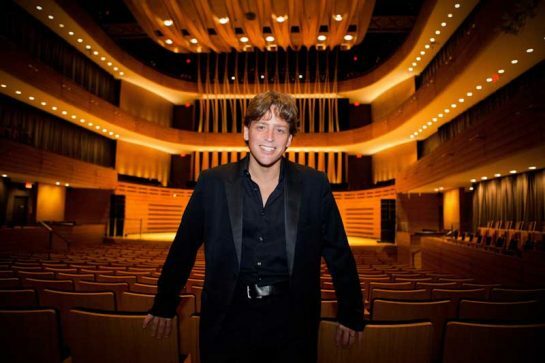 We are thrilled that Canadian composer Brian Current will contribute his gifts to Missing Women. Brian is an exceptional talent, and a marvelous story-teller in music. He was chosen by a Jury using City Opera’s anonymized process. We thank the Jury for its immense contribution to Missing Women, and to the story that librettist (and jury member) Marie Clements has given us. Added Current, “The story of the missing and murdered aboriginal women of Canada must be told immediately. It is an unspeakable tragedy for our nation that is still largely, and unconscionably, invisible to the wider public. 1250 women. Imagine if 1250 non-aboriginal women disappeared all at once from Ottawa or Quebec City or Victoria. There would be an urgent and international outcry. “Our goal in writing this piece is to humanize these women and their families and to show that each and every one of these missing women is deserving of our heartbroken attention. Each death is really one hundred deaths, as it affects all those who have loved and cherished the victim, often since infancy.